Possessions Medical kit, medpac (x6), liquid cable dispenser, comlink (short-range), code cylinder, electrobinoculars, credit chip (24,157c). Possessions Comlink (long-range), padded flight suit (light armor, Ref +3, Fort +1, Max Dex +4), code cylinder, credit chip (2250c), battle armor, goggles and breath mask (helmet package), data pad, medical kit, syntherope (45 meters), access to a space fighter or small starship (level x 5%), explosive charges x5, ion grenades x5, frag grenades x5. Vyn Sarvac is an Imperial martial artist and wetworks specialist who works for Zero Company. 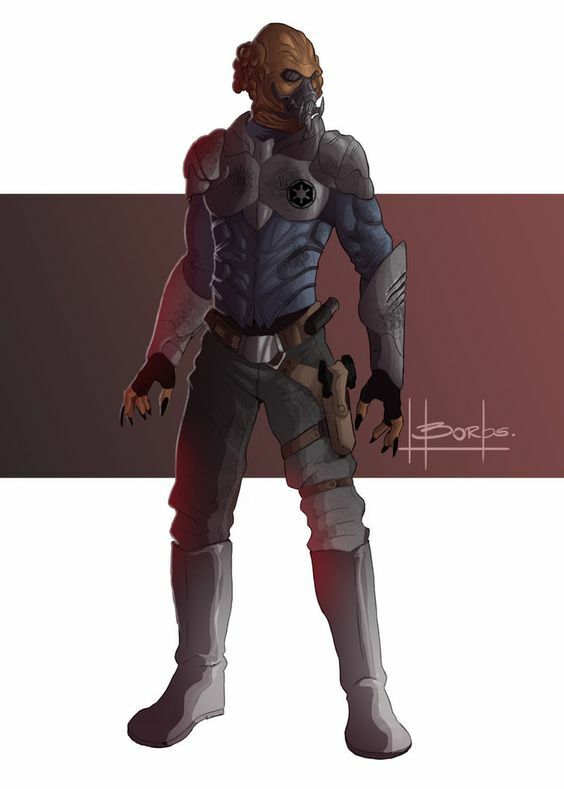 Sarvac is a fierce warrior who is paid well for his service to the Empire.